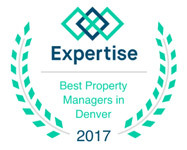 At Colorado Realty and Property Management, Inc., our experienced realtors pride themselves on being part of one of the most progressive and professional Wheat Ridge property management firms. We are a results-oriented company, focused on the satisfaction of our customers and the results we provide them. We continuously strive to deliver the most comprehensive level of service possible. 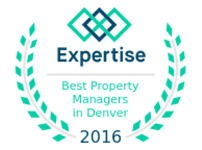 We currently manage many properties in Wheat Ridge as well as several hundred properties in the Denver – Boulder and surrounding areas. Our portfolio includes units with rent prices ranging from $650 to $4,500 a month, and clients can choose from single-family homes, condos, and townhomes. 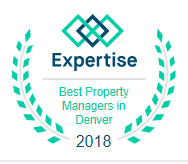 We are able to effectively manage properties in such a large geographic area because of our professional experience, efficient systems, cutting-edge technology, and an extensive network of top-notch staff and vendors throughout the area. 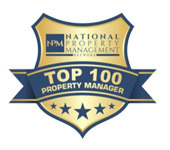 We are proud to say that Colorado Realty and Property Management, Inc., is one of the few Wheat Ridge property management companies whose company founder and Managing Broker has been awarded the prestigious MPM® designation (Master Property Manager) by the National Association of Residential Property Managers®. As active members of the National Association of Residential Property Managers (NARPM), we closely adhere to the NARPM Code of Ethics and focus on education, industry knowledge, and best practices. Has your property been issued a current City of Wheat Ridge Rental Housing License? If not, are you aware of the penalties? Are you familiar with the required City of Wheat Ridge’s Smart Regs? Do you cross your fingers, hoping that you won’t have to deal with the move-out, advertising, and move-in processes that occur between tenants? 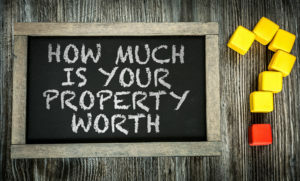 What sets us apart from other Wheat Ridge property management companies? Wheat Ridge is located near the western edge of Denver, Wheat Ridge is an interesting mix of old and new. Primarily a residential city, Wheat Ridge also features several retail centers and more than 20 parks. Tucked in the curve of I-70 as it heads west into the mountains, Wheat Ridge is an expansive community with a rich mix of cultural and shopping centers. Although only incorporated as a city in 1970, Wheat Ridge’s pioneer history stretches back to the early farmers and miners of the 1840s. The community’s most significant historical structure is the James H. Baugh homestead, the former home of a Denver transplant that followed the mining rush to Colorado and nestled in the local valley between journeys into the mountains. In addition to history, Wheat Ridge is home to diverse cultural pockets. From Hispanic centers to old theater districts, the town is an interesting study in contrasts.